Who doesn’t daydream about a vacation? 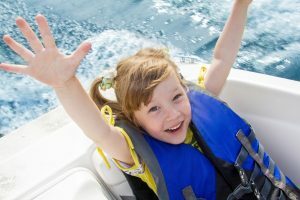 Luckily, there are a lot of ways to find affordable family vacation rentals. With little kids, I’ve found it a lot easier to rent a house for a week instead of a hotel, especially if you have extended family coming too. Hotel stays complicate nap/bed times, meeting for meals, and spending down time together unless you get a big hotel suite. Translation: shell out a ton of money. We encountered this challenge on our trip to San Fransisco for a wedding. We had a set of grandparents, my husband and 3 year old, and my sister. Each group had their own room and obviously, very different bedtimes. It might have been easier with adjoining rooms but still challenging for free time or sleeping time. Vacation rental sites make it super easy to find a suitable vacation home or apartment to meet your family’s needs. You can find cute cottages tucked away in small towns, modern apartments in the city, cozy cabins in the woods, or oceanfront villas. How do I find a vacation house for rent? 1. Choose an area within driving distance. 2. How many people are coming? And how many beds do you want? 3. Dial in the location. 4. Check out vacation rental sites. What are the vacation rental websites? 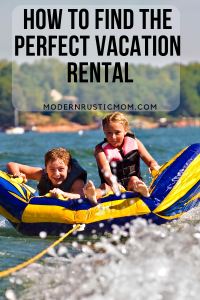 Have you done a vacation rental? Which rental website did you use? Do you have a favorite? Renting a house will also save you a lot of money on food. The cardinal rule to saving money is *eat at home*. With a vacation rental instead of a hotel, you can eat in as much as you want. Grilling hamburgers for dinner and making deli sandwiches for the beach are huge cost savers instead of breakfast, lunch, and dinner out. If you use a grocery deliver site at home, they might even have delivery at your destination.We’ve really enjoyed PeaPod grocery delivery since our newborn came along since it’s about 30 minutes to the nearest grocery store for us. Here’s a hint – bring a few rolls of toilet paper from home in case the host doesn’t provide it. 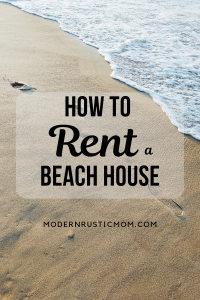 And, if you’re visiting a popular beach location, the grocery stores will probably be super packed on the weekends since those are the typical rental changeover days. If you can wait, Monday morning will probably be a lot quieter. My husband loves doing at least one big surf and turf night with fresh seafood straight from the dock. During a vacation to Cape May, NJ, we found adorable kits that the local fishmonger put together daily. They looked like a milk pail but were filled with all of the fixings for a seafood boil. We picked up a few steaks, beer, and a couple of cans and we had the perfect summer beach dinner. Better chance for downtime. It’s a lot easier for parents to trade off sleeping in or catching a nap when the kids can be entertained somewhere else in the house. Make some memories. In a house or apartment, it’s easy to have fun during the simplest activities i.e. funny stories over breakfast, a cozy glass of wine on the porch, or easy play-dates in the living ro om. Use your own familiar gear. Frankly, the car seats that car rental places offer can be downright sketchy. The ones I’ve seen look like they were run over by a truck. On a safety note, you’ll also know how to install your own car seat properly. It’s nice to use your own travel crib and car seat if you can. This is the travel crib we love. It’s been to Detroit, San Jose, Rhode Island, London, and the Dominican Republic and I expect many more places to come! One of the biggest luxuries of a hotel stay is that everything is done for you. The food is cooked (and dishes done!) by someone else. The beds and bathrooms are tidied daily. The mini-bar has goodies or better yet, there’s a Starbucks in the lobby! The worst drawback may be that the house isn’t what you expected it to be and you may get some noisy or crotchety neighbors. It could be dirty or worse, have bugs. But, to be fair, that could happen in a hotel too. With the exception of dishes, the pros and cons of renting vs. staying in a hotel are virtually the same. Camping out together in small rooms is fun for maybe one or two nights…but then it gets old. Besides, vacation also means getting a few moments to yourself from time to time. Carefully, think about the size beds you want. It’s no fun if all the beds are bunks beds and you have elderly parents. Or, if you’re meeting up with all of the young cousins, a bunch of bunk beds are perfect. Check how many bathrooms there are too. There is such a thing as too much togetherness when everyone shares a bathroom. If you’re committing to bringing your pet, make sure they’re allowed or you could face hefty fines. Do you want to be right in the middle of things? Do you like Bourbon Street in Mardi Gras? (Laissez les bons temps rouler!) Or do you prefer a tiny place tucked away off the beaten bath? You can’t control who you’ll get for neighbors but choosing the right neighborhood is the best start. 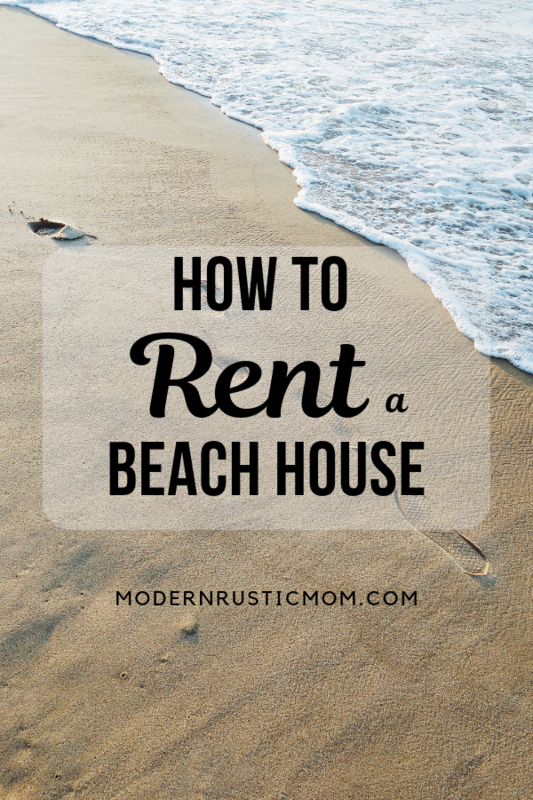 If you’re renting a beach house, consider if you need to drive to the beach. Over seven days, parking passes could add up or the parking lots could be filled by 7am. A nice happy medium would be a quiet neighborhood on a bus line so no one has to drive but night-time noise is minimal. Most of these will let you filter your choices by your key parameters like bedrooms, bathrooms, and family-friendliness. Of course, like with most websites nowadays, the best important place for information can be in the reviews. That’s where you’ll find the gold. Look for issues with the host, crazy neighbors, available amenities, local activities, etc. The growing number of vacations homes by owner mean even more choices for cheap vacation rentals. Figure out what essentials you’ll need like Wifi, washer/dryer, full kitchen, and parking spaces. A washer and dryer are a huge help especially with young kids. You can pack a lot less changes of clothing too. Rentals in condo developments and subdivisions often have limited parking. So if you are having a family reunion, you might need to find municipal parking. Make sure you understand what you’re responsible for. Do you have to take the garbage out on certain days? What is the cleaning deposit? What will the extra fees be for cleaning? How much lead time do they need if you have to change your reservations? How much notice will they give you if have to cancel your reservation? Will they provide sheets? When do you have to be out by? The last one is important because you don’t want to have to haul your luggage around all day if check out is at 9am and your flight isn’t until 9pm. We had that issue during our stay in London. The family renting the apartment before us didn’t realize they were supposed to be out by 10am and we had to wait on the street while the cleaning crew worked their magic. It was a minor issue for us with a Starbucks on the block but a stressful exit for them. If you’re booking a popular spot, you will likely need to book about 7-10 months in advance. That means booking in November or December for the next summer, especially if you want the most choices. Affordable places with enough Queen beds near popular attractions will be the first to go! Review the refund policy in case of emergencies or if the host has to cancel for some reason. Airbnb – I’ve used Airbnb for three trips so far. Two stays were international. All of them were great. The only minor stumbling block was that one of the apartments belonged to two college students and they didn’t lock up their medications. If you have small kids, it’s always a good idea to check out your location – no matter where you’re staying. Even hotels can be tricky. If you use my referral link, you’ll get you’ll get $40 off a home booking of $75 or more and $15 toward an experience of $50 or more. VRBO – This and Homeaway.com are part of the Expedia family. HomeAway – Just like VRBO, this is part of the Expedia family. Homeway is actually an expanding umbrella of vacation rental sites. Couchsurfing – This is probably for the more adventurous travelers. Instead of having the place to yourself, you’ll actually be sharing someone’s home while they’re there. One of the great aspects is a built in tour guide and maybe even a new friend for life. FlipKey – This service is part of the TripAdvisor family. One of the things I love about TripAdvisor are the knowledgable community members that can give you some tips and tricks about your destination such as what bus line to stay near or how to find secret music venues. HomeExchange – This is an interesting site. On this site, you have to also list your home as an available rental. Then, you can either pay an annual membership of $150 or $15/night for your stay in another person’s home. 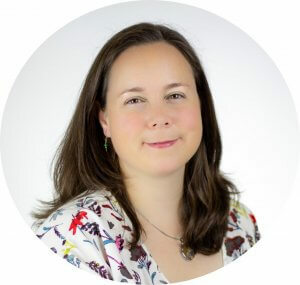 You can swap with other members or do “non-reciprocal” arrangements with your guests. You can also accumulate “GuestPoints” if the stays are not equivalent i.e. number of bedrooms, location, amenities, nights, etc. HomeExchange and GuesttoGuest have merged. Innclusive I wish I could say that the world was perfect and that every single person had equal access to all of the opportunities in the world. Unfortunately, that’s not the case. This hosting service seeks to mitigate implicit bias against people of color as they book their vacation. I love that the idea that people all around the world have committed to opening their hearts to potential guests regardless of their ethnicity. Local realty sites – If you’ve narrowed down your stay to a few towns, you might find a good deal through local realtors. they serve as middlemen just like the booking sites but help the homeowners coordinate bookings, key pick-up, cleaning services, etc. They are also local so they can respond to any immediate issues should they arise. I love the convenience of the websites above and local realty companies will have varying degrees of Internet competency but you can’t beat their local knowledge and (almost) guaranteed accessibility. That’s a good idea to check and see if you will need to do anything outside of the normal things you do at a hotel. You said, for example, you might need to bring your own sheets. I would want to make sure we need everything we need to be comfortable while on vacation. It’s good to know that there are so many methods out there to rent a vacation home. My wife and I want to rent a cabin for our upcoming family vacation. I will look into these to see what our options are. It is good to know that renting a vacation house will save you a lot more money. My wife and I are planning to bring our kids to the suburb to enjoy their summer holidays. And also for us to have such quality time. I will definitely tell my wife about renting a small house instead of staying in a hotel which will definitely cause us to spend more. Of course, cost depends on what rental you choose! Thanks for reminding us that you should consider checking if a vacation house can allow you to bring your pet to make sure that you won’t end up paying fines. My family is interested in renting a beach house where we can spend a 2-week vacation. My son is getting married soon, and my daughter is planning to move to a different city. This is why we want to spend quality time with each other. Since we can’t leave our Labrador alone at home, we’ll do all your tips. Congratulations on the wedding! We had a wonderful rental experience for my brother in law’s wedding down on the shore. It was just a block from the beach and a short walk into town. We made a lot of family memories over card games and iced tea on the front porch.